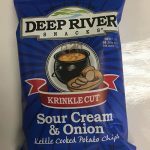 Shearer’s Foods Potato Chip Recall News– On December 10, 2016, Shearer’s Foods, LLC recalled all of their chip products made with milk ingredients due to a potential Salmonella contamination. 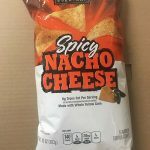 Shearer’s Foods, LLC recalled all of their chip products that contain a milk ingredient supplied by Valley Milk Products, LLC. 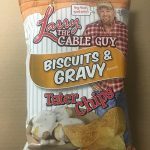 According to the Company Press Release Shearer’s Foods, LLC initiated the recall after being notified on December 7, 2016, by a seasoning supplier that Valley Milk Products LLC had initiated a recall of a nonfat high heat milk powder and sweet cream butter milk powder that is used in a variety of their seasonings. Please see the Press Release for the list of all recalled products. Salmonella is a bacterium capable of causing a serious and sometimes life-threatening infection known as salmonellosis. One of the most common foodborne illnesses, it can occur when food contaminated by Salmonella is consumed. According to the U. S. Centers for Disease Control and Prevention (CDC) there are an estimated 1.2 million cases in the U.S. each year, with approximately 400 of those cases resulting in death. * The elderly, infants, and those with impaired immune systems are more likely to suffer severe illness or Salmonella Complications. Attorney Eric Weinberg is currently assisting those injured by defective consumer products and pharmaceutical drugs. Please see Personal Injury Lawyers New Jersey to learn more about our firm, or contact us toll free at 877-934-6274. Please see Talcum Powder Lawsuit and Pulmonary Embolism Lawsuit to learn about areas of current litigation.